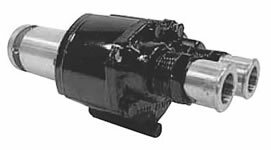 These are original equipment OEM Mercruiser Pumps. Look for our new Major and Minor Service Kits too! • Mercruiser Pump List - A listing of all the Mercruiser Pumps we carry. • Mercruiser Parts List - A listing of all the Mercruiser Parts we carry. • Mercruiser Replacement Item List - A listing of Mercruiser replacement items for discontinued products.